The amazing Razzle Dazzle Them Finish Spray from NAF in the ultimate high gloss spray, which is in a easy to hold areosol for all over body, mane and tail shine. Ideal to catch the eye on sunny days or underneath a spotlight. 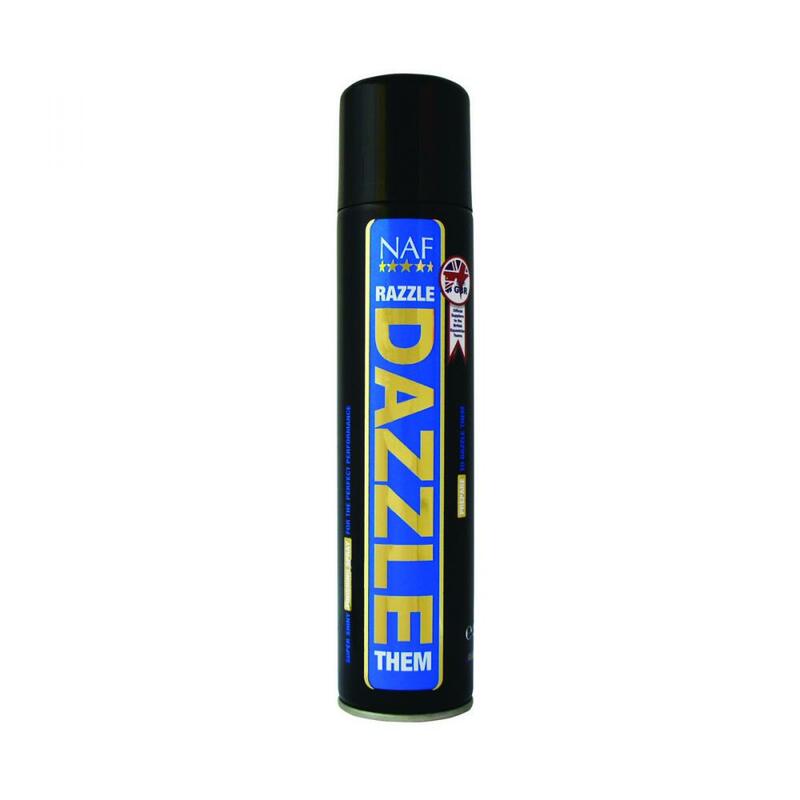 There are currently no questions for NAF Razzle Dazzle Them Finish Spray - be the first to ask one!